Wildebeest roam the African Savannah in the shadow of Mount Kilimanjaro. Mount Kilimanjaro is the highest mountain on the African continent. Its summit is 19,340 feet (5,895 meters) above sea level. It is located in Tanzania. 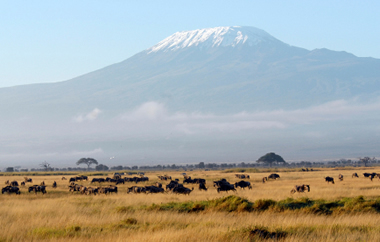 Image of Mount Kilimanjaro copyright iStockphoto / Dan Kite. Mount Everest as seen from Everest Base Camp, Tibet. Mount Everest is the highest mountain on the Asian continent and the highest mountain in the world. Its summit is 29,035 feet (8,850 meters) above sea level. It is located on the border of Nepal and China. 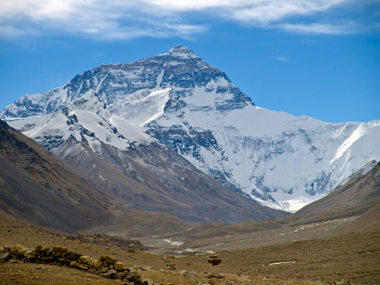 Image of Mount Everest copyright iStockphoto / Holger Mette. 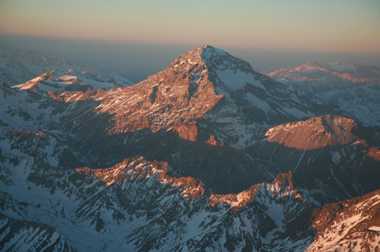 Aerial view of Aconcagua mountain in the Andes. Mount Aconcagua is the highest mountain on the South American continent. Its summit is 22,834 feet (6,960 meters) above sea level. It is located in Argentina. Image of Mount Aconcagua copyright iStockphoto / Cristian Lazzari. Mount McKinley (also known as Denali) is the highest mountain on the North American continent. Its summit is 20,237 feet (6,168 meters) above sea level. It is located in the USA, in the state of Alaska. 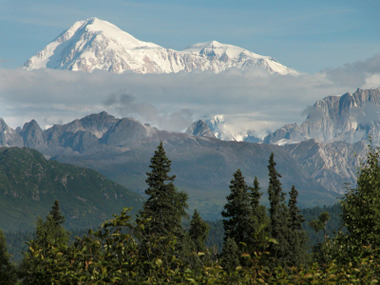 Image of Mount McKinley copyright iStockphoto / Michael Braun. Mount Elbrus is the highest mountain on the European continent. Its summit is 18,510 feet (5,642 meters) above sea level. It is located in Russia. 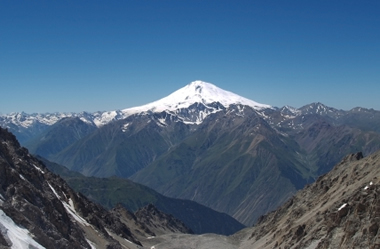 Image of Mount Elbrus copyright iStockphoto / Giliazov Artur. Vinson Massif is the highest mountain on the Antarctic continent. Its summit is 16,066 feet (4,897 meters) above sea level. It is located in Antarctica. 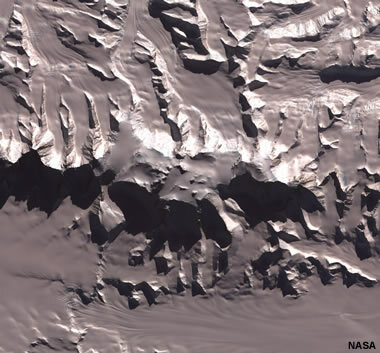 Image of Vinson Massif credit NASA. Mount Kosciuszko is the highest mountain on the Australian continent. Its summit is 7,310 feet (2,228 meters) above sea level. It is located in New South Wales, Australia. 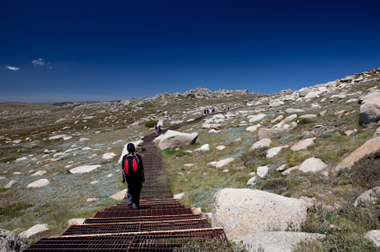 Image of Mount Kosciuszko copyright iStockphoto / Matej Pribelsky.